My finals during my last semester of college were kind of weird–I had a whole bunch all at the beginning of the testing period, then I had a few days where I didn’t have anything, then I had one last final during the last block of time on the last day of testing. My on-campus job didn’t need me and I suddenly had, like, days of free time and I wasn’t sure what to do with myself besides watch Law & Order and eat cookie dough. My final final of all the finals was a presentation on Harry Potter (of course), so I decided I’d spend all this extra time making some kind of pumpkin treat. I mashed recipes together and tweaked things here and there. I made pumpkin rolls and pumpkin muffins and pumpkin bread and pumpkin scones, focusing all sorts of nervous energy into creating the perfect pumpkin treat to cap off my college career. I finally settled on pumpkin cake (well, I made pumpkin cupcakes, but I kind of prefer it in cake form) with cream cheese frosting. This is my all-time favorite I-need-something-sweet-quick treat. I’m not exactly sure why it’s taken me so long to post it. Other pumpkin-y recipes have gotten in the way, and it’s one that’s near and dear to my heart. But trust me when I say that if you have minimal baking (or instruction-following) skills and 45 minutes, you’re good to go. To get started, preheat oven to 350 degrees. Grease and flour a 9×13″ pan and set aside. 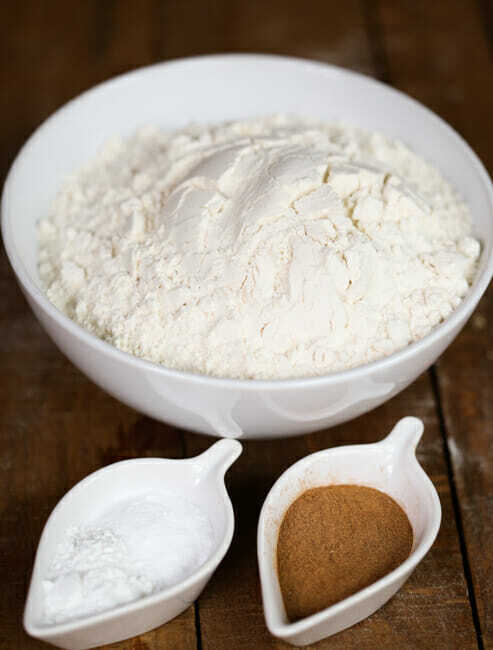 Get your dry ingredients together–you’ll need flour, baking powder, baking soda, salt, and pumpkin pie spice (you can make your own from a recipe like this one). Whisk them together in a small mixing bowl and set aside. When the mixture is combined completely, slowly add in the flour mixture, beating until just combined. Pour into the prepared pan and even it out with a spatula. Bake for 30-35 minutes or until a pick inserted into the center comes out clean. When done, remove the cake from the oven and allow to cool completely. While the cake is baking, prepare the frosting and when the cake is completely cool, spread with the icing. Makes 12 servings. A fantastic need-something-sweet-quick treat, perfect for fall. Preheat oven to 350 degrees. Grease and flour a 9×13″ pan and set aside. 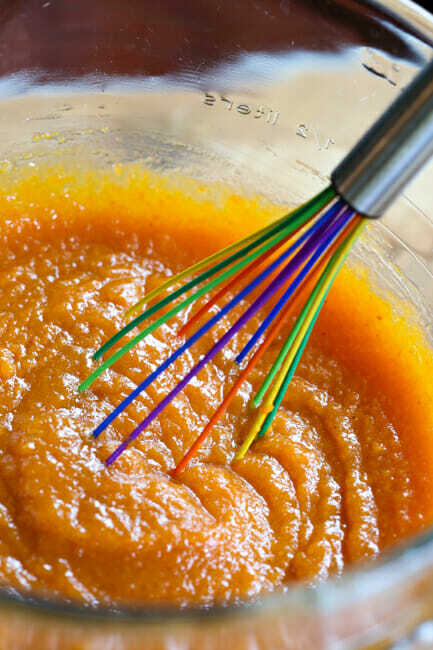 In a medium bowl, whisk together the flour, baking powder, baking soda, salt, and pumpkin pie spice. Set aside. 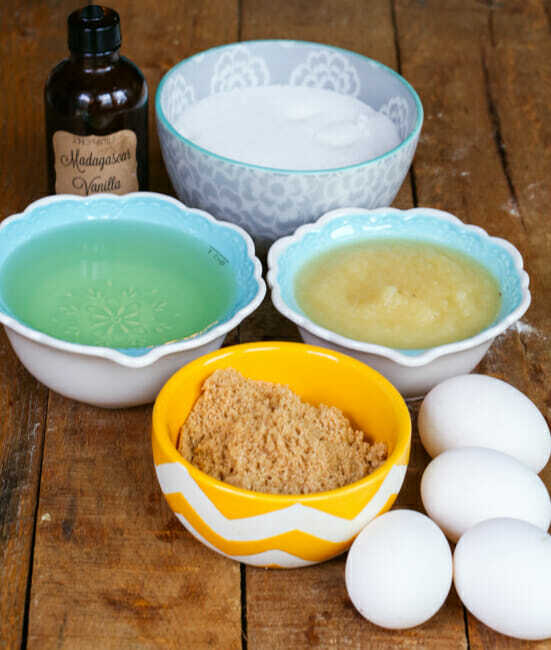 In a large mixing bowl (or in the bowl of a stand mixer if you’d like to use one), whisk together the brown sugar, white sugar, oil, applesauce, and vanilla. Whisk in eggs. 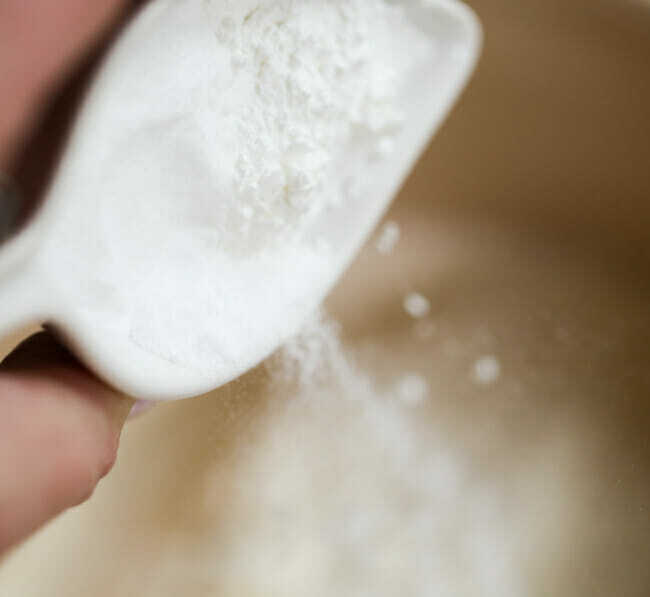 When the mixture is combined completely, slowly add in the flour mixture, beating until just combined. Pour into the prepared pan and even it out with a spatula. Bake for 30-35 minutes or until a pick inserted into the center comes out clean (times can vary widely depending on individual ovens). You can make your own pumpkin pie spice here, and don’t forget the Perfect Cream Cheese Frosting. Yum! I am so excited to try this! I have tried and loved your other snack cakes and convinced others to try and love them too. I just need to get some more pumpkin. Hubby gave all my supply away because he thought it was unnecessary. *gasp* somehow he is still alive. Ha!! Well, that is not okay. We always have tons of it on hand because if we don’t give it to our dog, our lives become infinitely more difficult, but before that, my husband would have totally given it away, too. I’m beginning to suspect that you ladies are psychic. I was desperately searching for a cake to make for a tea party tomorrow and had almost given up when I remembered it was Monday. Checked your website and lo and behold, the perfect cake recipe for the season. (I live in London and we’re definitely closing in on sweater weather now.) Good to know I can always count on OBB! I know what our “Mondays are stinky so we need an after-school snack” treat will be today!! YUM. I can almost smell it baking… My 2 free hours while my youngest is at preschool will be productive because I’ll be making this cake. 🙂 Thanks for sharing! 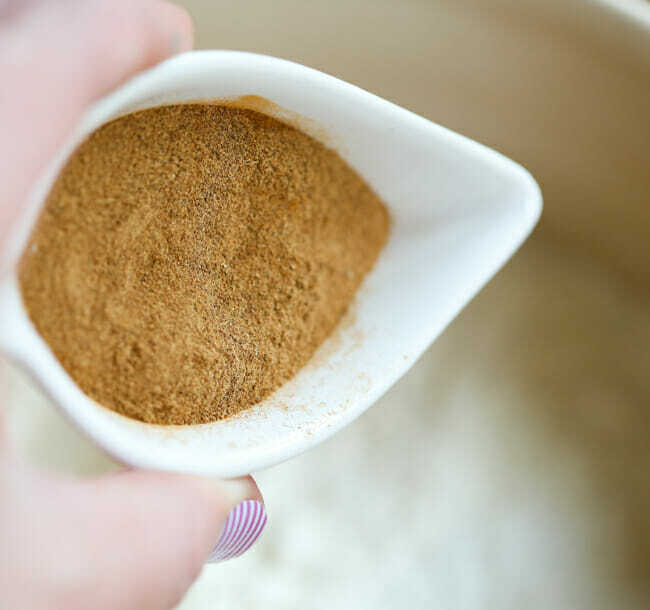 Would you please remind your readers how to substitute for pumpkin pie spice? Pretty sure it has to do with cinnamon, ginger, cloves…maybe allspice? Thanks! But wait? How did you do on your last final? I felt like I got left hanging on the story part of this post. You mentioned that you prefer this recipe as a cake, does it still turn out well for cupcakes? Yep, for sure! It just makes an odd number, which bugs me (like 15 or something). This looks awesome. Gonna have to grab some applesauce and try it. Just curious, does anyone know about how many grinds of nutmeg are in a teaspoon? I never ever use the canned stuff, and catching all those little bits in a tsp isn’t exactly a trick I’ve mastered either. Of course there is going to be varying degrees, but any approximation would help, thanks :). I usually grind or grate it into a small bowl or onto a small plate and then measure it from there. Totally agree that freshly ground nutmeg is the way to go! You can always catch them in something bigger (like whatever measuring cup you are about to use) instead and then pour them into the teaspoon. Number of grinds will totally depend on your grinder. And the recipe sounds delicious. I’d eat pretty much anything with cream cheese frosting! Can we make this same recipe on a 11 x 15 sheet pan? Will it be too thin do u think ? Or do u think we need to do some adjustment in measurements? Thanks In advance! I’m positive you could, you would just need to keep an eye on baking time. It would be pretty amazing. Oh my goodness my last semester was the same way! It was like BYU just wanted to drag it out as long as possible. Like I was going to be a student for…e…ver! This looks amazing! 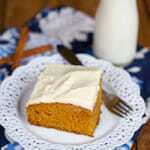 I love pumpkin and cream cheese, you just can’t beat it, especially in the fall! This is exactly what I’ve been craving! Also handy that I have a huge batch of applesauce I just made. Yum off to make this! I have this in my oven as we speak! Yum I’m so excited! Just wanted to let you know in the printable version of this recipe it doesn’t say when to add the canned pumpkin. 🙂 This is my favorite website, I’ve loved every single thing I’ve tried. You guys are awesome! I made the cake last weekend and loved it! The baking time was a bit off for me. I baked it an extra 5 minutes and still took it out maybe a little too soon, but it was delicious. That frosting is amazing! And I must say, it only got better the second day. I think I took it out of the fridge the next day and had some for breakfast, then lunch, and again for dinner. And if we’re being honest, for a mid-morning and mid-afternoon snack. And some before bed. 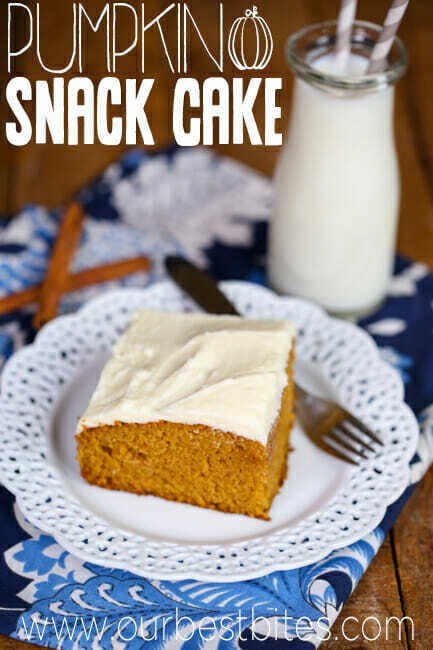 It tastes like a pumpkin roll but in a super easy, totally doable way. Loved it and will be making again, probably too soon! Can if I use whole wheat instead?????? I bet if you replaced up to half of the flour it would be fine. You might have to adjust the moisture (to more). 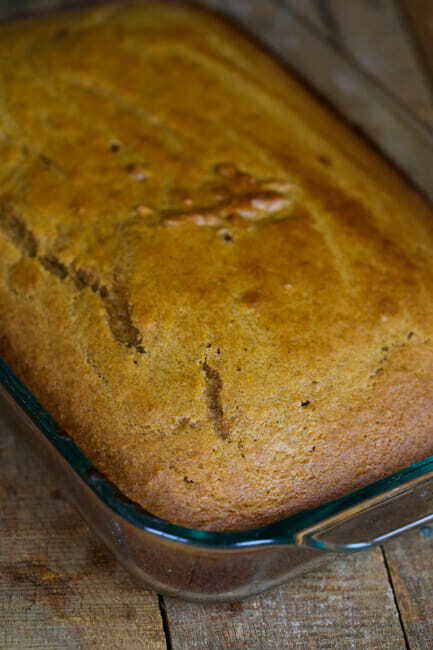 My mom always makes her banana and pumpkin bread with wheat flour and it is always delicious! We made this today and it is delicious! Moist and sweet. I dumped the entire batch of frosting over the top though, and we all agreed that made it too rich. Just an FYI, on the printable version of the recipe, it doesn’t state when to add the pumpkin. When do you add the pumpkin? I assume you add the pumpkin before or after the eggs? The printable doesn’t say. Thanks! 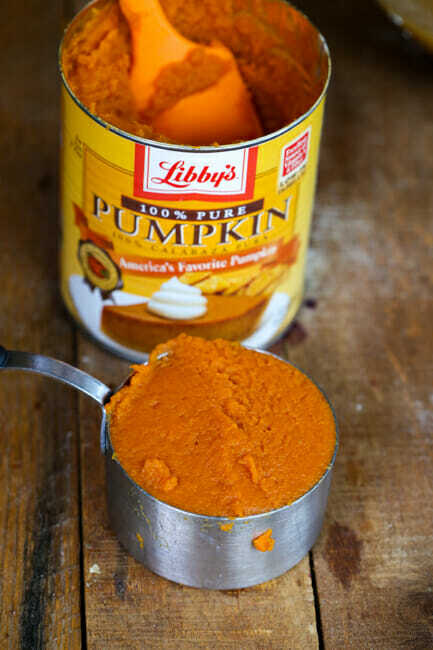 Just thought I’d let you know that you left off when to put in the pumpkin puree in the directions at the bottom of this recipe. I assumed it went in with the rest of the wet ingredients. It was delicious! Thanks! I made this last weekend (halved the recipe and baked in an 11×7 dish) for my son to try as a possible birthday cake – he requested pumpkin cake – and it was a hit! Even non-pumpkin-lovers (which I don’t understand, but anyway…) liked it! It was moist and delicious, and I’ll be making it again this weekend for the party! So…this may seem like a strange question, but have you ever tried a non-pumpkin version? I was hoping to make a plain(er)/vanilla-ish one for non-pumpkin party attendees, but one that would be equally moist and yummy (and easy, yet not from a box). I know, I’m demanding. Have you ever attempted this? Or do you have any ideas? Replace the pumpkin with applesauce? Maybe strained applesauce to reduce the moisture? Greek yogurt? I know it’s a long shot but figured I’d ask! Never tried that, but I would suggest something like you mentioned. Apple sauce would probably be a good bet! Have you ever made this in a jelly roll pan? I have not, but I totally bet you could. Not sure on if the timing would be any different, so you might just need to keep an eye on things. Hope that helps! ❮ Previous Post Previous post: 20 Awesome Game Day Eats!